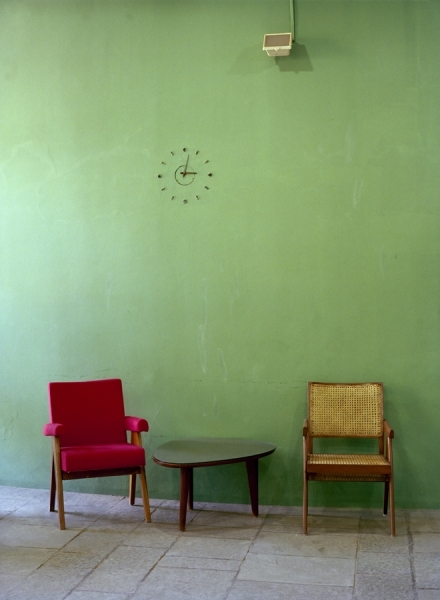 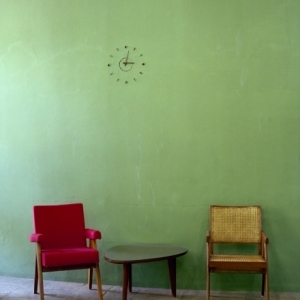 Series of 18 photograph, diasec and c-prints, different sizes, edition of 5 + 2 A.P. 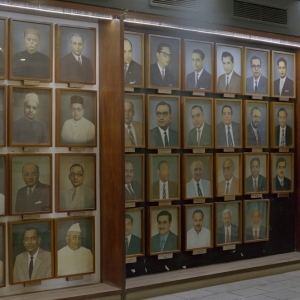 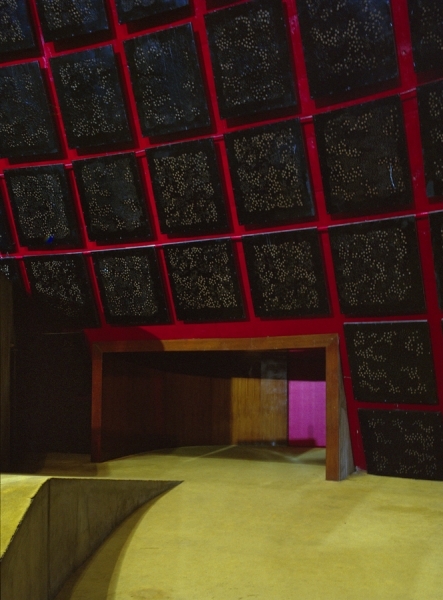 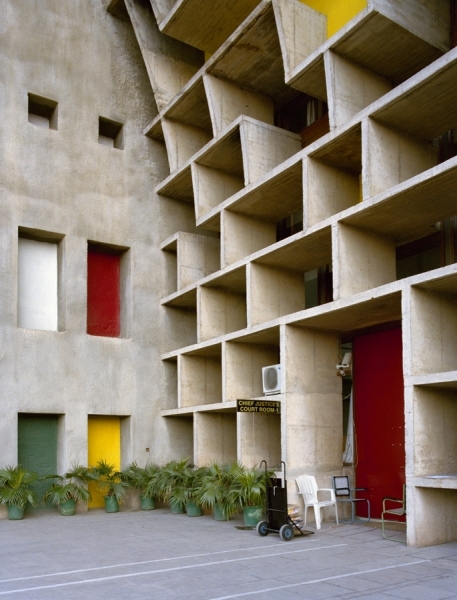 The images in the series „Cotton and Capital – Le Corbusier in India“ are a contiuation of the work »Après une Architecture« that was shown two years ago in Archiv Massiv. 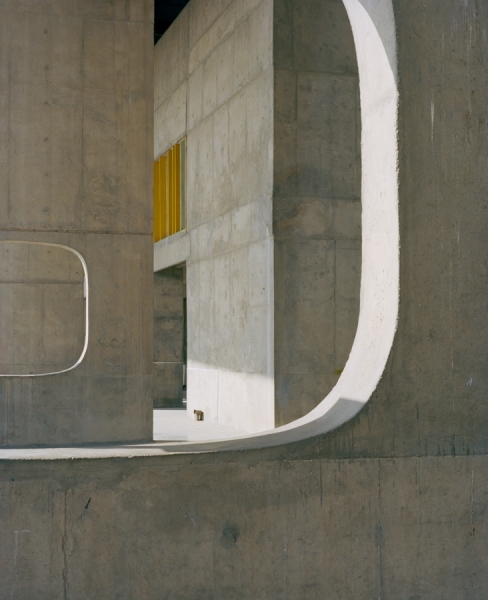 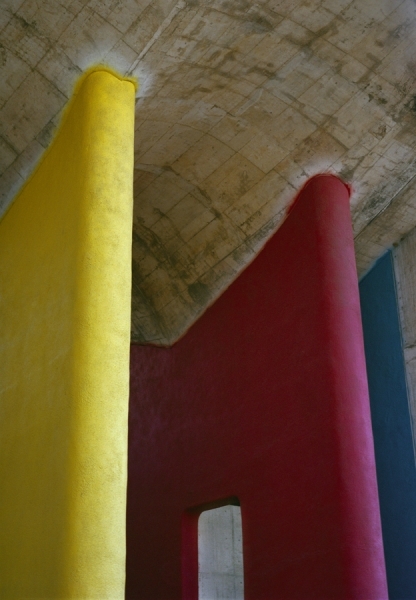 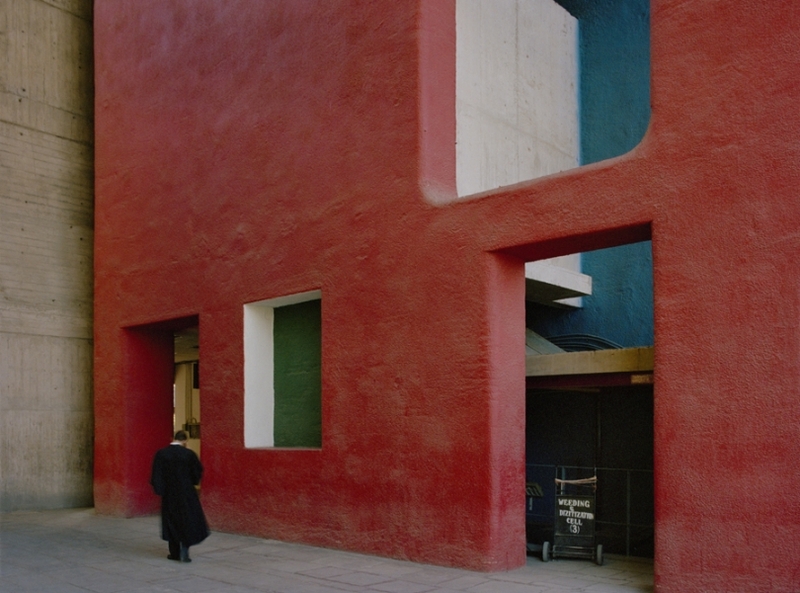 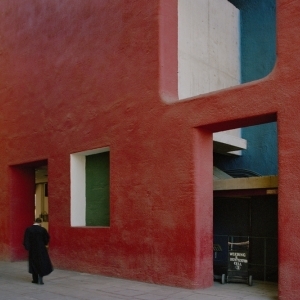 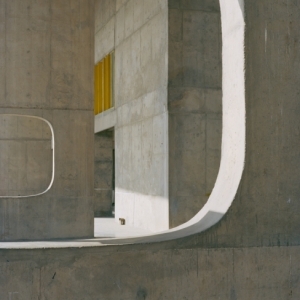 In the last four years I have followed the Architecture ofLe Corbusier in France and Germany and I´m now exhibiting photographs of his buildings from India. 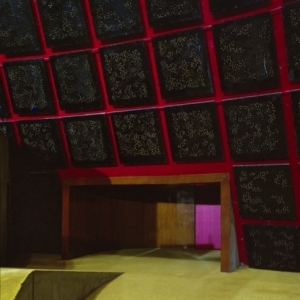 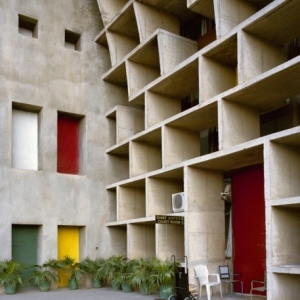 The title „Cotton and Capital“ refers to the function of the different buildings in the cities of Ahmedabad and Chandigarh. 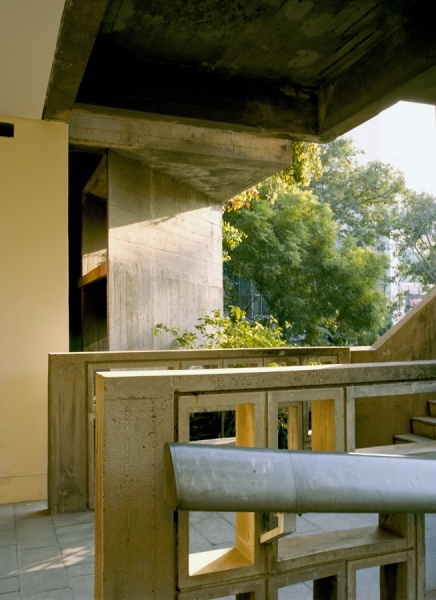 In 1954 the architect designed the building for the „Ahmedabad Textile Mill Owners Association“, also know as ATMA by the citizens. 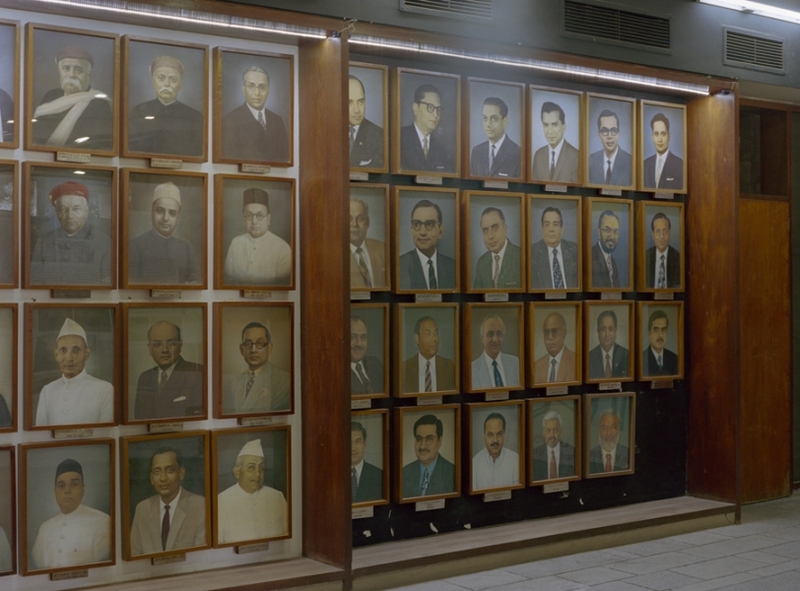 Coincidentally „Atma“ is also the name for the soul in Sanskrit language. 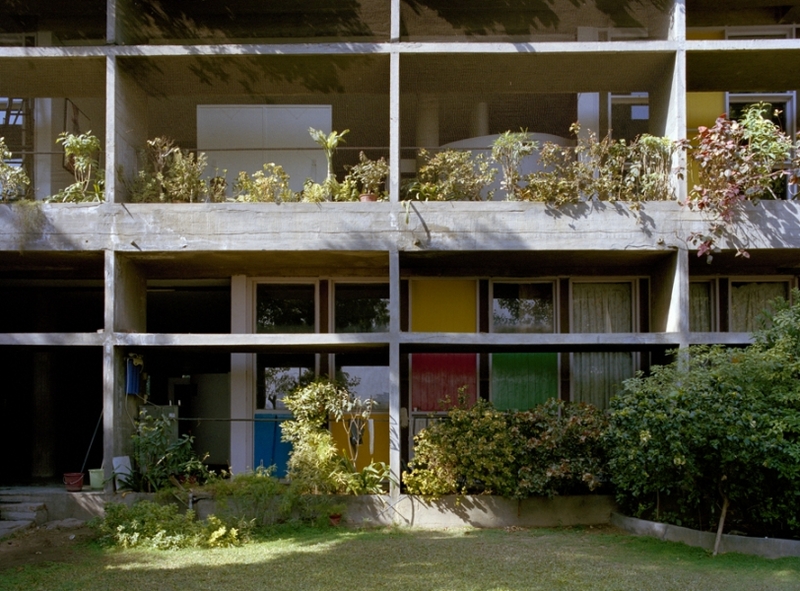 One of the most important Mill Owners in India is the Sarabhai family who comissioned a private villa by Le Corbusier, known as Sarabhai House. 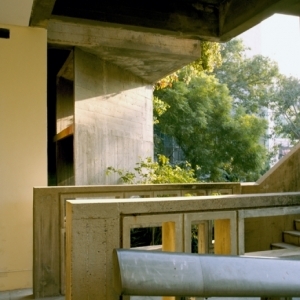 „Capital“ refers to Chandigarh which was built as the new seat of governement for the north indian state of Punjab. 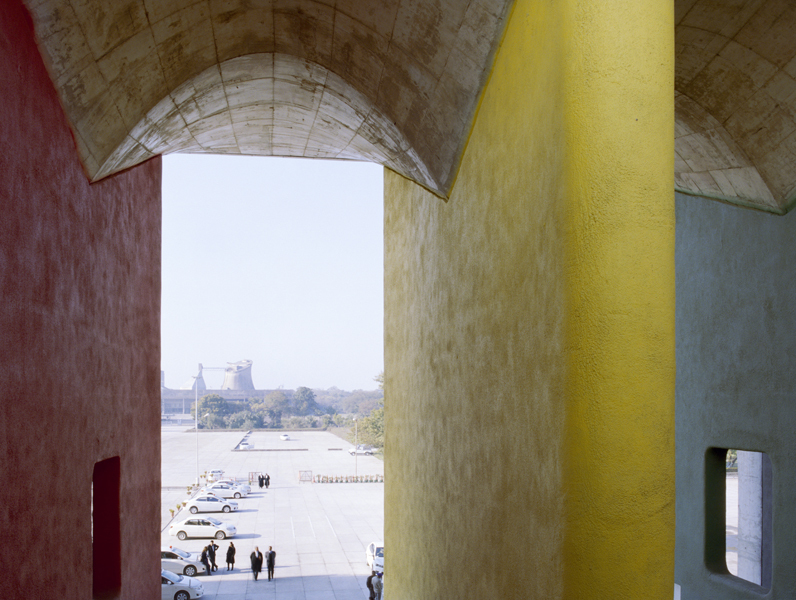 The capital was based on the plans of Le Corbusier in the nineteen-fities. 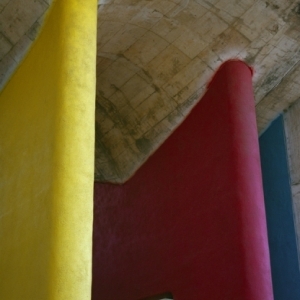 The government buildings of the HighCourt, Secretariat and Assembly Hall are constructed from colourful raw concrete. 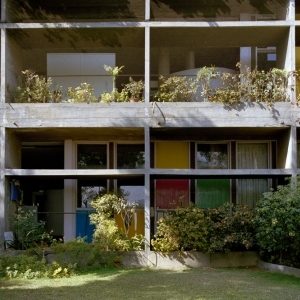 Now in the 50th year since thedeath of Le Corbusier these buildings still stand as a monument to the architect in India.